The Lime: Trini man travels to England and kills girlfriend after seeing her with new lover on Facebook! 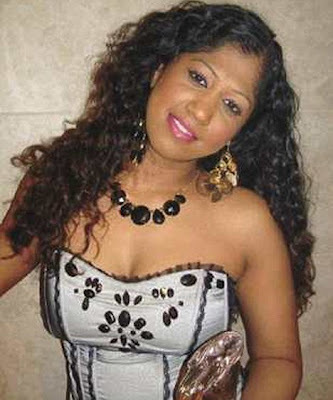 Trini man travels to England and kills girlfriend after seeing her with new lover on Facebook! 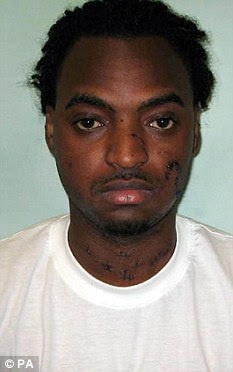 A jilted lover who stabbed his ex-girlfriend to death after seeing pictures of her with another man on Facebook was jailed for life yesterday and told that he must spend at least 22 years in prison. Paul Bristol, 25, was “determined no other man should replace him” and flew 4,000 miles from his home in Trinidad to confront chartered accountant Camilla Mathurasingh at her London home. Within 24 hours of his arrival in England in April last year, Ms Mathurasingh was dead. Bristol attacked her in her kitchen, stabbing her 20 times as she desperately tried to escape by climbing over her garden fence. Bristol, who denied murder but admitted manslaughter on the basis of provocation, left her for dead and drove off in her car, crashing into a junction. Judge Timothy Pontius jailed Bristol for life at the Old Bailey and ordered that he serve a minimum of 22 years behind bars before being considered for parole. He said: “It is absolutely clear you were eaten up by jealousy at the time, having found out about Camille’s relationship with Besim Haxhia. “You couldn’t bring yourself to accept she was not only living and working thousands of miles away but her life had moved on and the relationship the two of you previously had was at an end. “You were determined that no other man should replace you in her life, and you decided to bring that young life to an end. “You attacked her with such repeated savagery and horrifying ferocity that it was your intention to kill her. The judge added: “Camille Mathurasingh was a highly intelligent and ambitious young woman, beautiful and vivacious, caring and loving as a daughter, sister and friend. Ms Mathurasingh was born in Trinidad but came to live in Britain with her family in 1990, and qualified as a chartered accountant in 2005. She returned to Trinidad for a holiday where she met Bristol and ended up taking a job as an auditor with PriceWaterhouseCoopers. In 2008 she returned to the UK and moved in with her sister in Bromley-by-Bow, East London. She kept in touch with Bristol, who constantly checked her Facebook page to see what she was up to without him.